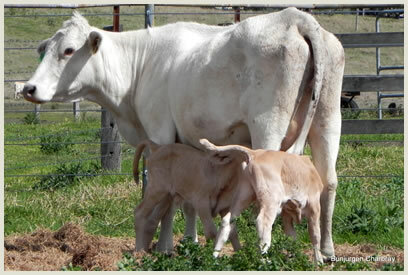 CHARBRAY CATTLE  a breed in a class of their own. Top quality bulls and heifers now available for sale at Bunjurgen Charbray. 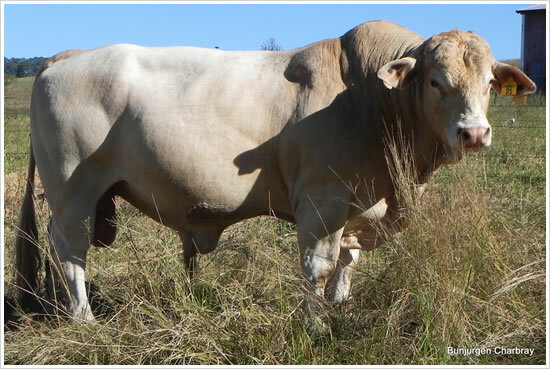 Bunjurgen Charbray grow bulls to about 2 years of age, weighing from 650kg to 800kg and sell direct from the paddock or through stock and station agents. Bunjurgen Charbray also sells by word of mouth, from repeat buyers over the past 17 years, from this website and from Facebook. With the care and treatment provided during their growing stages, the purchaser can be confident that the Charbray cattle purchased from us have had the best possible start in life, therefore ensuring fertility and performance over their lifetime.